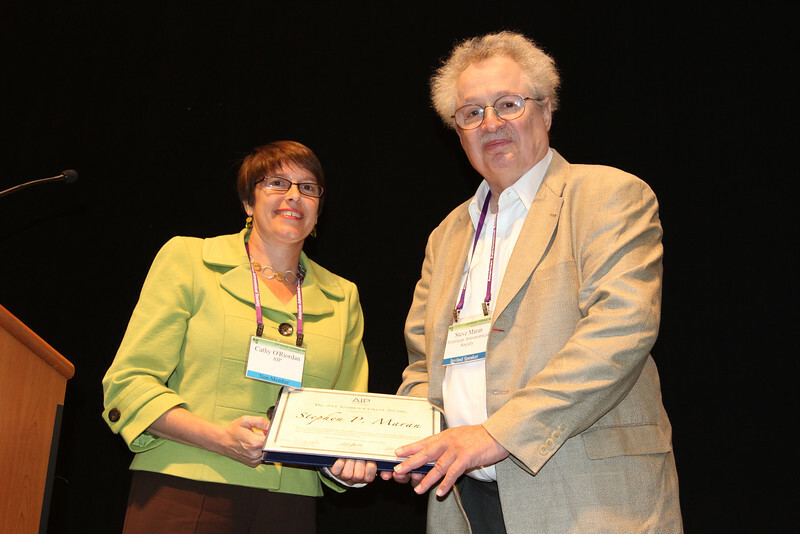 At the final invited session in Anchorage, late Thursday afternoon, American Institute of Physics (AIP) Vice-President Cathy O’Riordan presented former AAS Press Officer Steve Maran with AIP’s Gemant Award for significant contributions to the cultural, artistic, or humanistic dimensions of physics. In his prize lecture Steve recounted highlights from 400 years of astronomers’ sometimes-novel approaches to getting the news out. AAS photo © 2012 Joson Images.